Abstract: The last decade has witnessed tremendous progress in the development of marine technologies that are steadily affording scientists advanced equipment and methods for ocean exploration and exploitation. Recent advances in marine robotics, sensors, computers, communications, and information systems are being applied to the development of sophisticated technologies that will lead to safer, faster, and far more efficient ways of exploring the ocean frontier, especially in hazardous conditions. As part of this trend, there has been a surge of interest worldwide in the development of autonomous marine robots capable of roaming the oceans freely and collecting data at the surface of the ocean and underwater on an unprecedented scale. Representative examples are autonomous surface craft (ASC) and autonomous underwater vehicles (AUVs). The mission scenarios envisioned call for the control of single or multiple AUVs acting in cooperation to execute challenging tasks without close supervision of human operators. This talk addresses the general topic of cooperative motion navigation and control of marine vehicles, both from a theoretical and a practical perspective. The presentation builds upon practical developments and experiments. Examples of scientific missions with ASCs and AUVs, acting alone or in cooperation, set the stage for the main contents of the presentation. Especial emphasis is placed on the problem of operating groups of vehicles for scientific ocean studies, habitat mapping in complex 3D scenarios, geotechnical surveying, and sustained presence at sea in hazardous environments. From a theoretical standpoint, a number of challenging problems are addressed in the area of cooperative motion control and navigation of groups of autonomous vehicles. The connections with advanced methods for navigation, including geophysical-based navigation, are also briefly discussed. The results obtained are illustrated with videos from actual field tests with multiple marine robots exchanging information over acoustic networks. Bio: PhD in Control Science from the University of Minnesota, Minneapolis, MN, USA, 1987. Professor of Control and Robotics at IST, University of Lisbon, Portugal. Member, Scientific Council of the Institute for Systems and Robotics (ISR). Founder, Dynamical Systems and Ocean Robotics Lab (DSORLab) of ISR. Coordinator, Thematic Area “Technologies for Ocean Exploration and Exploitation” of the Associate Laboratory of Robotics and Engineering Systems (LARSyS). Adjunct Scientist, National Institute of Oceanography (NIO), Goa India. Expertise in Dynamical Systems Theory, Marine Robotics, Navigation, Guidance, and Control of Autonomous Vehicles, and Networked Control and Estimation with applications to air and underwater robots. His long-term goal is to contribute to the development of advanced robotic systems for ocean resources exploration and exploitation. 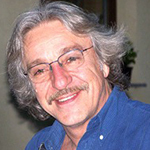 He has coordinated and participated in a large number of international projects that have led to the design, development, and field-testing of single and multiple autonomous marine and air vehicles and systems in cooperation with partners in India (National Institute of Oceanography, Goa), USA (Naval Postgraduate School, Monterey, CA), Korea (KAIST, Daejeon), and Europe. Selected EC funded projects for which he was IST´s Principal Investigator include: i) H2020-ICT-2014-1/ GA 645141 WIMUST: Widely Scalable Mobile Underwater Sonar Technology, 2015-2018; ii) FP7-ICT-2013-2 GA 611373 CADDY: Cognitive Autonomous Diving Buddy, 2014-2016; iii) FP7-ICT-2011-7 GA 288704 MORPH: Marine Robotic System of Self-Organizing, Logically Linked Physical Nodes, 2012-2016: iv) FP7-ICT-2007-3 GA 231378 CO3-AUVs: Cooperative Cognitive Control for Autonomous Underwater Vehicles, 2009-2012; v) EU-FP6-IST-035223 GREX: Coordination and Control of Cooperating Heterogeneous Unmanned Systems in Uncertain Environments, 2006-2009. Director, FCT PhD program on Networked Interactive Cyber Physical Systems (NETSyS). 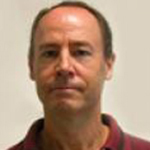 Associate Editor of IEEE Access, Member of the Editorial Board of the Springer Intelligent Systems, Control and Automation Book Series, and Elected Chair, IFAC Technical Committee Marine Systems, from 2008-2014. Member, International Program Committee of numerous conferences on dynamical systems and control as well as marine and aerial robotics. He has published a total of 70 book chapters and peer reviewed journal papers and 250 conference papers (h-index 40, i10-index 125). Abstract: DexROV is an European project dealing with underwater intervention. Brielfy, the DexROV architecture is composed by an operator working onshore connected via a satellite-based communication link to the underwater arm. Control and interaction with latency, one of the key issues of the project, will be addressed in the talk. Bio: He is Professor at the "University of Cassino and Southern Lazio''. His research interests include marine and industrial robotics, multi-agent systems, identification. He has published 44 international journal papers and more than 110 conference papers, he is author of the book "Underwater Robots'' (Springer-Verlag, 2003, 2006, 2014, 2018) and co-authored the chapter "Underwater Robotics'' for the Springer Handbook of Robotics, (Springer-Verlag, 2008, 2016). 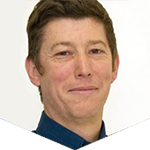 He has been involved in various roles in research projects funded under FP7 and H2020 schemes: Co3AUVs, ECHORD, ARCAS, EUROC, AEROARMS, DexROV, WiMUST, ROBUST and EUMR. He served both as independent expert and reviewer for the European FP/H2020 calls several times since 2006. He is member elected of the "IEEE Robotics & Automation Society" Administrative Committee, he is coordinator elected of the EuRobotics Topic Group in Marine Robotics, he has been secretary of the IEEE-Italy section, he has been chair of the IEEE Robotics and Automation Society (RAS) Italian Chapter, he has been Chair of the IEEE RAS Technical Committee in Marine Robotics. He served in the Editorial Board of the IEEE Transactions on Robotics, IEEE Transactions on Control Systems Technology, Springer Journal of Intelligent Service Robotics, he has been Editor for the RAS Conference Editorial Board. He has been chief editor of the open access journal "Frontiers in Robotics & AI" specialty "Robotic Control Systems". Abstract: To perform underwater handling tasks, we have been proposing new mechanisms such as buoyancy control devices and negative pressure plates. In this talk, performance of negative pressure plates is explained. It is important to keep position and orientation of a robot during dam/ship maintenance work. When a robot exerts force to an object, reaction force is generated, and it changes position and orientation of the robot. To solve this problem, we have proposed a negative pressure plate method. In the proposed method, a plate is attached to a usual thruster of an underwater robot. From Bernoulli 's theorem, pressure between the plate and the object decreases and it becomes negative relative to the outside of the plate. From our basic experimental results, it has been confirmed that a thruster with a negative pressure plate can make larger adsorptive force than that of usual thruster use. The usefulness of the proposed method has been demonstrated by experiments of dam inspection. Bio: Sadao Kawamura received the B.S. degree in Biophysical Engineering, the M.S. degrees in Mechanical Engineering and PhD. degrees in Mechanical Engineering from Osaka University in 1981, 1983, and 1986, respectively. Since 1996, he has been a professor in Department of Robotics, Ritsumeikan University. From 2003 to 2006, he was a vice president of Ritsumeikan University. From 2011 to 2013 he was the president of the Robotics Society of Japan. Since 2011, he has been a director of Robotics Research Center of Ritsumeikan University. He received SICE Best Paper Award in 1987, 2000, 2009, ISCIE Best Paper Award in 1987, Fluid Power Technology Promotion Foundation Best Paper Award in 1992, 2010, Good Design Special Award in 2001, RSJ distinguished service award in 2016 and so on. 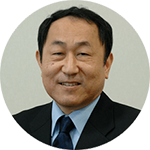 He is an associate member of Science Council of Japan, a member of the Engineering Academy of Japan, a fellow of Japan Society of Mechanical Engineering, a fellow of Robotics Society of Japan and a member of World Robot Summit. He is interested in motion intelligence of underwater robots, industrial robots and soft robots. Abstract: : Of the two million shipwrecks that dot the seas of the world, many are lying beyond the scuba diving limits. These deep wrecks are remarkably well preserved because, until now, they have been protected from the main environmental and human threats (biofouling, shipworms, light, storms, strong tidal currents, looting…). Nowadays, they are no longer safe from being accidentally destroyed by deep fishing trawls or from being looted by the robots of deep-water treasure hunting companies, operating in violation of 2001 UNESCO Convention on the Protection of the Underwater Cultural Heritage. Since invaluable deep archaeological sites are now likely to be destroyed very quickly, there is an urgent need to study them. Unfortunately, the manipulator arms and the tools of existing ‘Work Class’ ROVs (Remotely Operated Vehicles) are designed for industrial infrastructures and do not allow to safely excavate a site or to recover fragile archaeological artifacts without damage. For these reasons, several years ago, a consortium led by the French Department for Underwater Archaeological Research (DRASSM, Ministry of Culture) and bringing together several universities and industrial partners began to develop original robotic approaches to perform effective archaeological studies and collect artifacts from depths ranging from 50 to 2,000 meters. This talk will describe the context of deepwater archaeological intervention and present the tools and methods we have developed for the shared control of very small multipurpose underwater vehicles. We will focus on underwater grasping devices (robotic hands, claws, and suction devices), robust control, coordination of robots, haptic feedback and vision based methods for underwater localization and 3D modelling. This talk will be illustrated by several videos showing the field tests carried out during real archaeological campaigns from 50 meters to more than 1,000 meters. We will also explain how these technologies can be used to respectfully collect seashells for biological studies. This research received funding from the European Union (FEDER grant n° 49793), ANR French National Research Agency (SeaHand project), CNRS (X-Life/Reef-Explorer project, Instrumentation aux Limites/Aqualoc project, PICS/Deep Ocean project), DRASSM (Corsaire Concept Project), Région Occitanie (ARPE Pilot Plus project) and the France-Stanford Center for Interdisciplinary Studies. 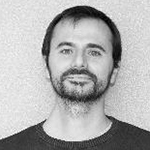 Bio: Vincent Creuze is Associate Professor at the University of Montpellier (France), in the Robotics Department and ICAR Team of the LIRMM (Montpellier Laboratory of Informatics, Robotics and Microelectronics, Univ. Montpellier/CNRS). His research focuses on marine robotics, mainly in the fields of sensing (computer vision and acoustics), control (adaptive and robust control of small underwater vehicles) and manipulation. He designed several underwater robots and conducted many experiments during real archaeological or biological research campaigns in shallow and deep waters. Since 2013, he is the scientific coordinator of the Corsaire Concept Project (DRASSM, Department for Underwater Archaeology of the French Ministry of Culture), aiming at developing robotic tools and methods for deep-sea archaeology (2,000m). 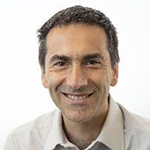 He is also involved in several multidisciplinary academic or industrial projects and collaborates with Stanford University, LAFMIA-CINVESTAV Mexico, University of Sherbrooke, DRASSM, Ifremer, Onera... He was the coordinator of the national Marine Robotics Topic Group (GT2-mer) of the GDR Robotique (Robotics National Research Group, CNRS) from 2012 to 2016. He participated in the organization of several workshops or conferences and regularly serves as associate editor (IROS’13 to ‘17, ICRA’15, Frontiers in Robotics and AI journal…). Abstract: : The research group, IRS-Lab, is working on robotics from the very beginning of our Campus' foundation in Castellón, Spain. In fact, after more than twenty years of research in some specific technologies (e.g. multisensory based manipulation, telerobotics, or human-robot interaction HRI), always applied to real life scenarios, over ten years ago we face the underwater intervention context. So, a lot of different activities concerning this exciting field have been developed during these years. In addition, many projects, some of them funded by European and Spanish institutions have been successfully carried out. In this new scenario the dream is named the underwater autonomous vehicle for intervention (I-AUV). However, a long road is still necessary to pave the way to underwater intervention applications performed in a robust, efficiency and complete autonomous way. This presentation reviews the difficults to overcome, the solutions explored and the evolution timeline in the way towards I-AUVs, putting the enphasis on the main contributions reached through those coordinated projects by IRS-Lab (i.e. RAUVI, TRIDENT, TRITON, MERBOTS) and always considering the fundamental role played by robotic manipulation, also known nowadays as the physical interaction problem, in all of them. Bio:Pere Ridao received the Ph.D. degree in computer engineering in 2001 from the University of Girona, Spain. Since 1997, he has participated in 19 research projects (10 European and 9 National), he is author of more than 100 publications, and he has directed 5 PhDs thesis (5 more under direction) and 13 MS Thesis. His research activity focuses on designing and developing Autonomous Underwater Vehicles for 3D Mapping and Intervention. 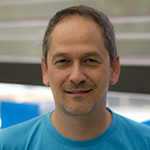 He is the director of the Computer Vision and Robotics Research Institute (VICOROB) and the head of the Underwater Robotics Research Center (CIRS) and an Associate professor with the Department of Computer Engineering of the University of Girona and a co-founder of Iqua Robotics SL, an University of Girona spin-off company. Abstract: :ORCA (Offshore Robotics for the Certification of Assets) is a new £36M UK lead initiative aiming at developing Robotics Solutions to unman the offshore assets in the future. Its core vision is to support a long-term offshore industry desire for a semi-autonomous offshore energy field; operated, inspected and maintained from shore. ORCA is organised in four main core strands. The sensing and navigation strand develops techniques to enable robots to safely navigate inside and around structures using novel navigation techniques including deep learning. Manipulation and control strand generates realistic, dynamic models of robots, the environment and their interactions to underpin predictive planning and optimal control algorithms. The Human Interaction and explainable AI strand aims at developing multimodal interaction techniques to explain robot behaviour and thus increase transparency and operator effectiveness. Finally, the Self Certification of Robots and Assets develops and tests a practical self-certification methodology for robot and autonomous systems and achievements and focusing on sensing, navigation and manipulation. I will particularly focus on a Robotics IoT future where sensors and robots will collaborate together and with humans much more than is currently the case and try to demonstrate the benefits of such approaches. 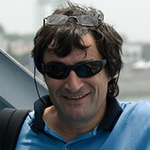 Bio:Yvan Petillot is a Professor of Robotics and Computer Vision at Heriot-Watt University. He is a leading member of the Oceans Systems Laboratory, the head of the Institute for Sensor Signals and Systems and the deputy director of the joint research institute in Signal and Image Processing (ERP-SIP) with Edinburgh University. He is a former Royal Society Industry Fellow in collaboration with SeeByte Ltd, a company he co-founded in 2001 and in which he was Chief Technical Officer until 2010. With over 15 years experience in Robotics, Image Processing and Autonomous Systems in the maritime domain, he has made very significant contributions to target detection and classification multiple vehicle collaboration and autonomous inspection and manipulation. He has a long history of successful collaborations with other leading researchers in Europe through a number of European Research Projects (ALIVE, Autotracker, Amason, 2005, FreeSubNet 2008, Trident, 2010, Eurathlon 2012). He created the first European Competition in Underwater Robotics for autonomous systems in 2006. He has since been awarded and European Union Funded project (Eurathlon) to develop a real-world competition for disaster relief covering the air, land and sea domains. 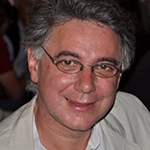 In parallel, Professor Petillot has a unique track record in technology transfer and engagement with industry. He co-founded SeeByte Ltd in 2001 and led the transitioning of research, technology and personnel from the University to the company. Abstract:Underwater autonomous, or semi-autonomous, intervention robotics represents a research field which has recently witnessed a non negligible development; in terms of realized prototype systems, development of supporting functional and algorithmic control architectures and related successful field experiments; which have been performed in the scopes of different research projects supported by both national and international initiatives. In particular, at european level, some of these projects on are currently still active; now with the scope of strengthen the demonstration of the potentialities offered by robotized underwater intervention systems within more specialized application fields, ranging from oil & gas application needs (e.g. inspection, maintenance, and routine operations) scientific needs (minimal impact samples collection and/or in-situ measurements), till arriving including minimal-impact mineral mining activities at high-depth sea-floor sites. The mentioned research activities, which are apparently proceeding towards their consolidation, have however always considered the employment of a single intervention-agent, typically constituted by a sole Underwater Vehicle Manipulator System (UVMS), possibly even of dual arm type, where the controlled coordination of the motions and environmental interactions of its composing parts is demanded to suitably designed centralized agent-controllers operating from the inside the whole system itself (by the way, and at least at European level, such controllers typically appear relying on the adoption of equality/inequality task-priority-based functional and algorithmic control architectures). Within the above outlined context, and within the line of an engineering consolidation of the adopted functional and algorithmic control architectures for single-agents, it appear consequently advisable to in-paralell to proceed further, toward the development of suitable networked coordination policies, capable of allowing the cooperation between two or more agents, for instance when grasping, manipulating a transporting a shared object. The talk will therefore consider such cooperative aspects, by mainly focusing on the most suitable coordination policies to be adopted, once related with the need of however cointaining the information exchange between the agents within the ranges which are actually allowed by the underwater environment. Simulation results, as well as experimental trials (for the time being performed in dry form) will be presented, together with the research lines to be further followed within the same subject. Abstract: Houston Mechatronics, Inc. (HMI) has embarked on a significant technology development program referred to as “Aquanaut”. The objective of this project is to field a novel subsea robotic platform capable of both long range operation as well as meaningful in-close intervention tasks. The goal is to demonstrate the feasibility of performing complex underwater manipulation tasks without the need for a high capacity link (e.g. data tether) to the robot. This talk will give a status update of the project highlighting recent milestones as well as review upcoming work that will be completed. Bio: : John Yamokoski received a B.S. degree in Mechanical Engineering from Purdue University in 1999 and M.S. and PhD. degrees in Mechanical Engineering from University of Florida in 2005 and 2009 respectively. 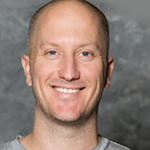 Currently he is the Director of Software Engineering at Houston Mechatronics and actively involved with the research and development efforts for HMI's Aquanaut program. Before joining HMI, he was at NASA’s Software, Robotics and Simulation Systems Division at the Johnson Space Center. While at NASA, he was the Controls Lead for NASA’s Robonaut 2 project and Lead Software Architect for NASA’s Valkyrie program. Abstract: Underwater Robotics represents one of the more challenging and promising area in the field of modern robotics research. The aggressiveness of sea water with respect to electronics and typical materials used for construction of robotic devices (aluminum and alloys) makes the design of underwater robots complex, especially in presence of space and weight constraints. This is the case of robotic grippers and hands for underwater applications, in particular in case (at least) three fingers have to be used to achieve stable grasps on a wide range of object shapes. The talk focuses on the design of underwater grippers, focusing not only on the kinematics and grasping abilities, but also on the actuation, transmission system, and the sensory equipment. Bio: Claudio Melchiorri received the MSc degree in Electronic Engineering at the University of Bologna, Italy, in 1985, and the PhD in 1990. Since 2001 he has been appointed as Full Professor in Robotics at the University of Bologna. Currently, he is the Dean of DEI, the Department of Electrical, Electronic and Information Engineering. Since 2014 he is member of the Academy of Science, Institute of Bologna. Since 2015 he has been appointed by the Chinese National Ministry of Education as High-End Expert at the Tongji University, Shanghai, China. He is author of more than 330 publications, 12 books, and two patents. He has been Associate Editor in several well-known Journals and has been involved as Program Committee member of several international conferences on Robotics and Control. His research interests include dexterous manipulation, design of robot hands, telemanipulation, motion control.